"An ancient pyramid. A present threat. 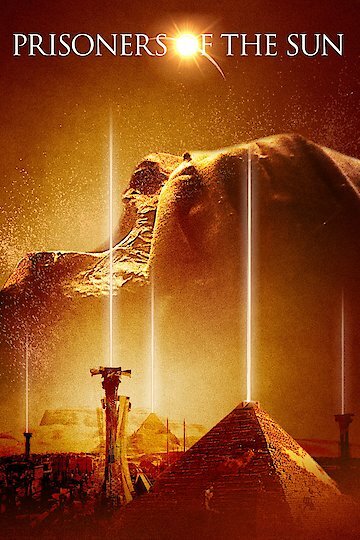 A mystery unchained after 5,000 years"
This movie is about the story of an archaeological apprentice, who is on a journey of exploring the sands of Egypt. During his exploration, he encounters many strange monsters from ancient times, as well as surviving the numerous death traps that have been placed. He then discovers a forbidden secret that has been forgotten by time, which also holds imminent danger if it is opened. Inside this secret are a variety of ancient creatures known as the "Sleepers", who are gods that have been created to destroy the world. Prisoners of the Sun is currently available to watch and stream, download, buy on demand at Amazon Prime, Amazon, Vudu, Google Play, iTunes, YouTube VOD online.